Last fall I wrote about a journaling app called Diarly. The developer has continued to add regular, incremental improvements and refinements. The most significant, I think, is that you can now export to PDF. You still can’t print from Diarly, but since you can export an entire journal or individual entries as PDF files, you can print from Preview easily enough. 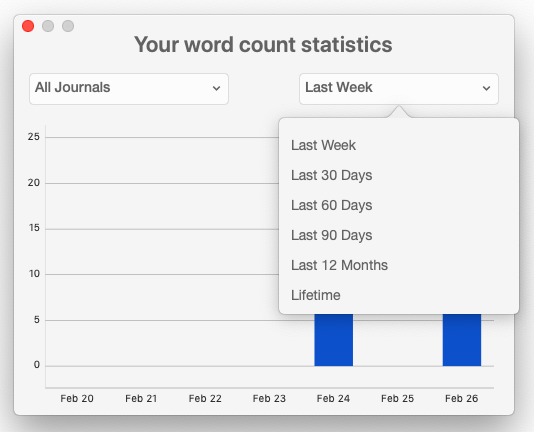 Another nice (far from unique) feature, which I mentioned in passing in the previous look at Diarly: You can review your word count over various time periods (ranging from the past week to the past 12 months) in all journals or journal by journal. You can also check the word count of the entry you’re currently working in. Nothing revolutionary in this, but a handy feature. You can track your writing output in Diarly. 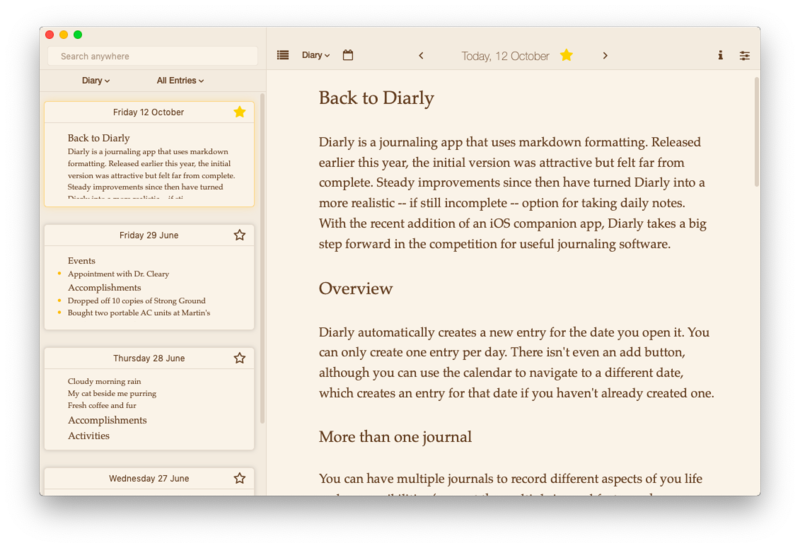 In the review I indicated that I was going to be using Diarly as my journal, but I have been using MacJournal for a variety of reasons. But I would be happy to use Diarly. It is a lovely app that does one thing, and does it well.